I remember my final Sunday as a lead pastor. Though I often forget things, I can’t forget that. Faces and voices, a sanctuary and a pulpit, many years and many moments. Memories were breathing—all replaying at once. Life and death. Marriages and funerals. Prayers and songs and laughter and disagreements and meals and conversations and pain. And more prayer. As I think back to those experiences, I’m asking myself, “What did I learn?” Not, “Did I succeed?” or “Did I fail?” Pause for Pastors is filled stories of lessons learned. Stories that just might help a pastor and his family smile when they hear this word, church. Stories that just might help a pastor and his family pursue help when they’re carrying too heavy of this weight, church. Stories of honesty—told by myself and many others—that just might offer a little bit of peace in the storms of pastoral life. As we’ve emphasized in each book of this series, pause in your rush through life and notice yourself. Visit your own stories. The stories of hurt, of grief, of anger, of regret. The chapters of life and death and nothingness. The words of healing on those rare perfect days. For now, for this now, choose to stop. Read the nouns and verbs. Slowly. During the storm, read and receive and rest. Chris Maxwell’s care for pastors comes through strongly in his newest work. His openness and honesty about pastoral ministry comes from years of experience coupled with a desire to fully empathize with what a pastor goes through. This is not a here’s-how-to-do-it kind of book but an I’m-here-with-you book. I recommend it. 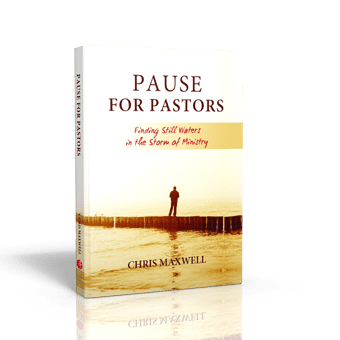 Perhaps the most important call I will receive this Christmas is the one delivered by Chris Maxwell in his new gem, “Pause For Pastors”…the call to stop, look, and listen to the inner voice of the Lord rather than simply doing one more thing. I believe that our ministry will never consistently exceed our personal walk with Jesus and intimacy with Him. That type of depth requires pacing, margin, and breadth of heart…none of which are acquired quickly or on the run. “Pause For Pastors” is written by a pastor to those of us who are vocationally fitted for pastoral ministry and called by God to fulfill that place in His Kingdom. As always, Chris’ words soothe, cut, encourage, rebuke, push, pull, instruct, remind, invoke, motivate, inspire, and cause me to think deeply about what is truly important. 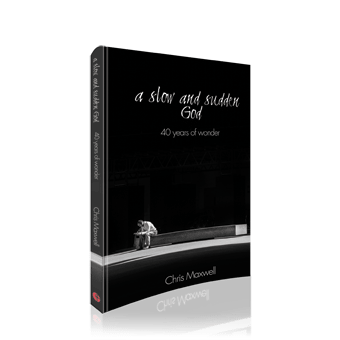 I am a better person and pastor for taking the call and heeding the voice of the Spirit of God promising “still waters in the storm of ministry.” I cannot urge you strongly enough to read it and give copies to all the pastors you know and love deeply. It may be the most important call they receive this Christmas, too! Self-care is vital for those in helping professions. Pause for Pastors gives readers an opportunity to “fill up” so that they may continue administering care to others. I am a minister and pastor’s wife. Not gonna lie. Ministry is rewarding, but, boy, can it be hard! I appreciate so much Chris writing this book. We all need someone to pour into our lives and keep us focused on what is good, right and peaceful. So many ministers are burning out, and we need balance: times of genuine fellowship and times of solitude, times of work and times of rest, times of advance and times of retreat. Chris Maxwell is a pastor to pastors. He cares, he listens, he asks, he mentors, he prays. His heart for ministry and ministers is found on every single page of this book. I also love that he includes the input and experiences of others. Chris understands that we need each other and that we can all learn from each other. 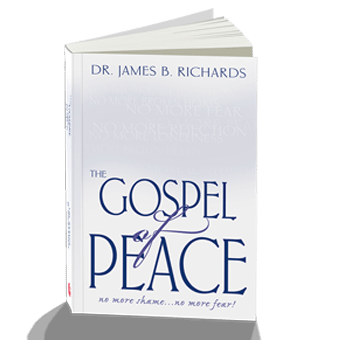 You can read this book straight through, or you can take your time and reflect on the Scriptures and questions he includes at the end of each chapter. Be encouraged. Be open. Do something good for yourself and those you minister to. Read this book. Take time to pause! If you are in any form of leadership you will know that one of the easiest things to do is completely ignore your own well being for the sake of those you lead. This on face value though it sounds noble is one of the biggest mistakes most leaders make thus eventually burning out. Remember if you are burnt out you are no use for yourself, your family, and even those you led. 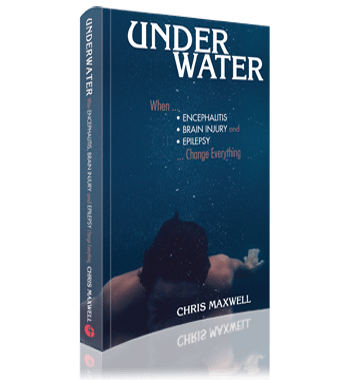 Chris Maxwell has penned a great book that is full go nuggets of gold and wisdom that will help you to lead like never before. Even if you are not a pastor or in full time ministry you will find words of hope and encouragement in this book. By reading stories and examples of challenges and struggles faced by those considered spiritual leaders and experts, the reader will feel “not-so-abnormal” or defeated and will be reminded there is a God who goes with us along our journey of life who will help us through even the most difficult times. If you are in a ministry or feeling the call to go into the ministry, especially as a pastor, you need to read this book. If you are a member of a church and care about your pastors, give them this book. I worked with Chris Maxwell for 11 years and was there in 1996 when he contracted viral encephalitis and had to learn how to “pause”. Pause for Pastors shares the experiences and insights that came out of that life-changing time. Chris was a great pastor before he learned to “pause”, and became an amazing and inspiring one after. Chris is a master at connecting words with the heart. There’s never been a book written by him that didn’t feel like, at some point, he was sitting across from me at the table, listening to the latest story of my life, carefully considering how best to make the most significant input and waiting patiently for God’s timing to reveal the much needed wisdom. Do yourself a favor if you’re in any position of ministry leadership – buy a copy of this, read it with a cup of coffee in hand and allow the words to turn into a timely conversation with a peer who has most assuredly faced a similar situation in life and ministry. You are, after all, not alone. Chris’ perspective and input is sure to help you pause for the moment so that in the appropriate time you can continue to push forward.